The Pro Tour is over, and for everybody going to team Unified Standard RPTQs it's now time to look at possible combinations. I had a very disappointing 5-8 finish that reminded me of the harsh truth that I need to devote more time to draft preparation. Pro Tour Dominaria didn't offer much in the way of innovation, and with 28 copies of Goblin Chainwhirler in the top 8, it mostly just sparked the conversation of another potential ban. The red decks were popular, but it seems like they are going to be even more present at tournaments given how successful they were. And now we have a puzzle to solve to find the best combination of 3 decks! Players in the RPTQ need to present three different Standard decks that do not share any cards besides basic lands. You used to be able to split cards between decks as long it's not more than four copies total, but now if you run Duress in one of your sideboards, you cannot play it in another deck. The first thing to note is that the metagame will be vastly different. In a regular Standard tournament, you might see the field having 40-50 % Goblin Chainwhirler decks (at the Pro Tour, the number was 35 %, and I expect it to go up). But in unified, no more than 33 % of your opponents can play the card. The same logic applies to Abrade, Heart of Kiran, Negate and Duress. This means that it might not be suicide to play more X/1s, and cards like Bomat Courier and Toolcraft Exemplar are much better as a result. 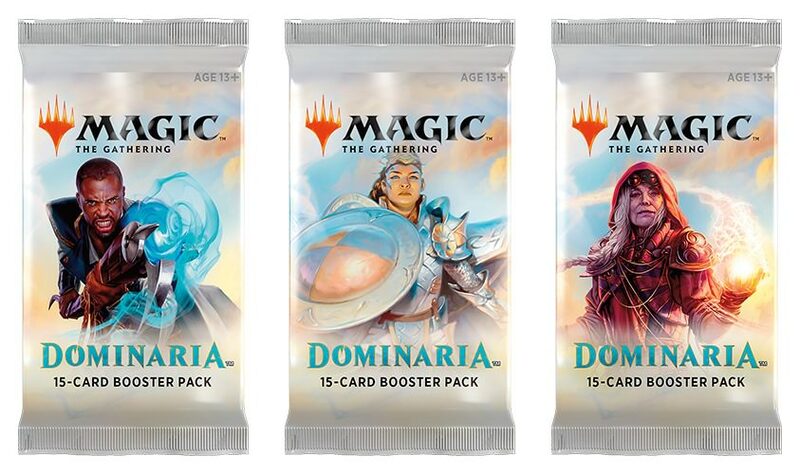 Another thing to note about this metagame is that the control decks, particularly Blue-White Control, don't overlap at all with the rest of the tier 1 decks, so having a control-deck in your line-up would be an obvious choice for most teams. This means that I'd expect a lot more control in Unified Standard than in regular Standard, probably 25 % if not more. 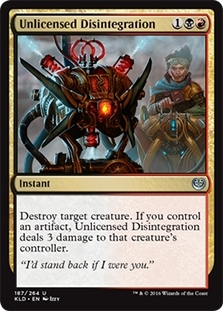 It might also seem like you want to jam a version of Red-Black Chainwhirler that has proven itself to be the best deck in Standard. 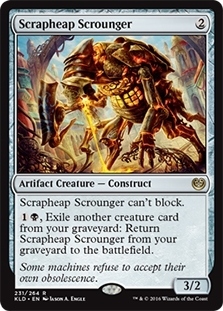 But Scrapheap Scrounger, Heart of Kiran and Duress makes it hard to easily slot it in with a 3rd deck. Even if Green-Black Constrictor seems like an obvious fit, both of them need Duress to fight against control, which is even more important in this field. 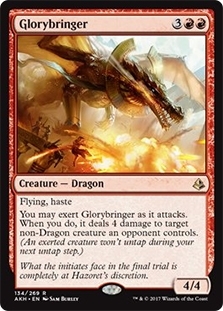 I'd expect lots of teams to run Mono-Red in their Goblin Chainwhirler slot. 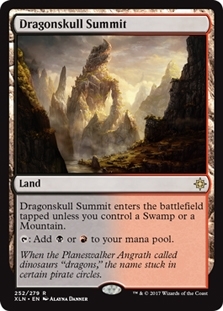 This means that the metagame is going to feature a more substantial amount of control, more Mono-Red than Red-Black and a bunch of green decks to fill out the 3rd slot. I'm not particularly a master of Mono-Red, so take my advice on the specifics of the list with a grain of salt. The Pro Tour winning decklist from Wyatt Darby does look good to me. Shaving one Bomat Courier isn't heresy to me. 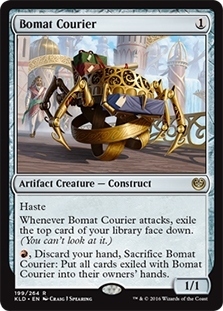 In our testing with Team Mint Card we found that Bomat Courier is just generally underwhelming in the format, not just because of Goblin Chainwhirler, which is also why we eventually concluded that Mono-Red is just bad. 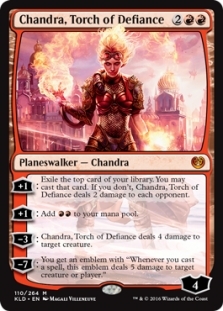 This list also runs a healthy number of Fight with Fire to battle through Lyra Dawnbringer, as well as Glorybringers and Chandra, Torch of Defiance, which is how you fight Mono-Green Stompy. 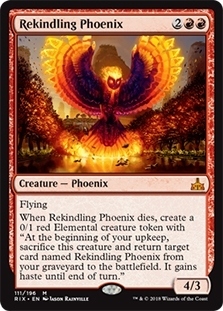 I think three main deck Rekindling Phoenix is good for the same reason. Sadly, I think other decks need Aethersphere Harvester more than Mono-Red does. 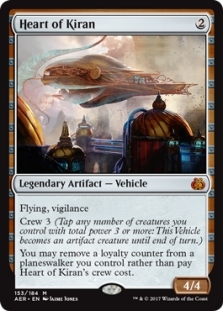 If you end up with that overlap, I will cut the Aethersphere Harvesters in the sideboard and replace them with a combination of either the fourth Bomat Courier, or a Cut // Ribbons to be better prepared against Mono-Green, or a Zhalfirin Void to be able to board up to 25 lands. 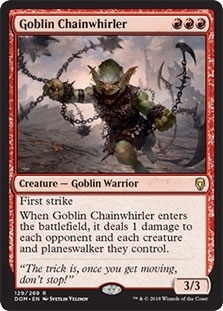 Because I'd always want to run a Goblin Chainwhirler deck, but Red-Black is hard to fit in, I'd prefer to have Mono-Red on my team. Honestly, I prefer the black-based control decks to the white ones. 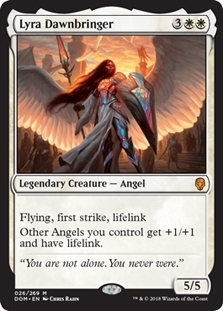 Vraska's Contempt is just so good with this amount of powerful Planeswalkers, Gods and Rekindling Phoenixes floating around the format. 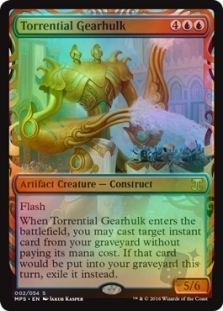 And the card only gets better as you rebuy it with Torrential Gearhulk. I'm quite amazed by how well-built and innovative our Blue-Black Control deck for the Pro Tour was. Five players ended up running it, including Jeremy Dezani who finished 7-2-1 with the deck. 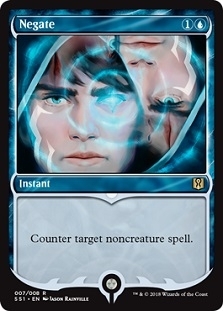 With planeswalkers to gain card advantage instead of Glimmer of Genius, and the ability to board into Blue-Black Midrange, this deck can get around people who think they know how to play against Blue-Black Control. The problem with the black control decks is that they also take Duress, which makes it harder to justify an inclusion of Red-Black Chainwhirler or Green-Black Constrictor. The Blue-White Control decks have fewer of such overlaps but seem worse overall if people are prepared for control. I do like Thomas' threat-heavy sideboard. Also, Blue-White Control allows you to play Lyra Dawnbringer which seems insane to me in a format of Mono-Red and Mono-Green. Speaking of Mono-Green, this is how I'd build the version that splashes black for Scrapheap Scrounger. I was quite happy with this deck in our testing house; the only problem was the match-up against Red-Black. Now it might look weird to play so many 3-ofs, but I've found that deck ran much better once I started to do this rather than the all 4-ofs version I recommended in my previous article. The gist of it is that you just don't want to draw multiples very often with this deck. Ghalta, Rhonas and Heart of Kiran are bad in multiples, but even Resilient Khenra can lead to a low power level draw, and multiple Scrapheap Scroungers can make it hard to play defense. Another version of this deck that caught my eye was Team EUreka and Catharsis' version, built by Immanuel Gerschenson and putting up a lot of numbers by his teammates. I'm guessing that this version is alright versus Red-Black and stomps everything else. Initially, I thought Mono-Green would be bad against the control decks, particularly Blue-White. However, it turns out the combination of Llanowar Elves, cheap hard-hitting different threats, Blossoming Defense and especially Nissa, Vital Force is just too hard for them to overcome. 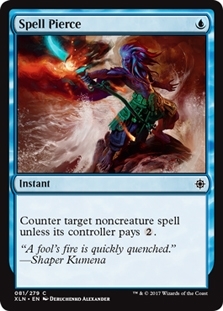 This version seems even better positioned against control with counterspells in both the main deck and sideboard. The main problem is that you can't run control with this build of Mono-Green, because the Negates overlap. One solution is to just run Spell Pierce instead of Negate in the green deck, which honestly might not be that bad of an idea. No Control Deck At All! Another route is to not have any control deck at all! You will need to cut Aether Hub from the green deck, but that can be replaced by 1-2 blue sources (Island or Woodland Stream, or 1 of each) and 0-1 Forest. 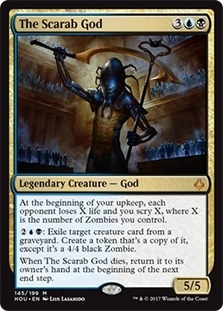 This Black-White deck might not seem great against control preboard, but once you get to replace removal spells with Duress, Doomfall and Arguel's Blood Fast, you'll really get to utilize the diversity of threats, Glint-Sleeve Siphoner and History of Benalia. The main reason I like this deck is that we get to play a lot of Lyra Dawnbringers. 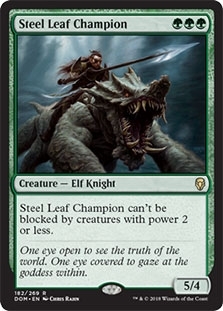 As I mentioned earlier, this card seems sick in a format with lots of Mono-Green and Mono-Red. I haven't yet tested this deck, but if it's good enough against the expected metagame, I'd recommend the set-up of Mono-Red, Mono-Green with blue, and Black-White Midrange. In this set-up, you'll also get to waste some of the cards that your opponents have prepared for control decks, which I think is a relevant reason not to play a control deck. If you aren't prepared to take this gamble, I will run my Mono-Green list with the black splash, one of the three control decks and Mono-Red. Maybe you'd like to include Red-Black. 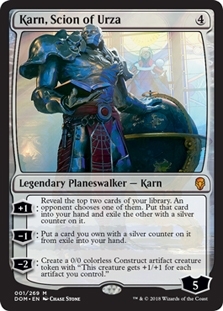 This is very understandable, as the deck is crushing it, people might disrespect it because it will be less popular, and maybe you already have a lot of experience with it. There are many Red-Black lists from the Pro Tour to choose from, and you can combine any of them with Blue-White Control. I think Duress is too important for the black control decks, and also one of these following decks. You also need to find a way around "the Negate problem". One of these decks would have to be surprisingly good in the metagame for me to consider this set-up because it feels like you could be making a significant sacrifice in the power of your 3rd deck to slightly upgrade your red deck. Whichever way you choose to go, I wish all of you good luck at your upcoming RPTQs! Zen Takahashi shares a bunch of precious tips on piloting Turbo Fog in Standard! 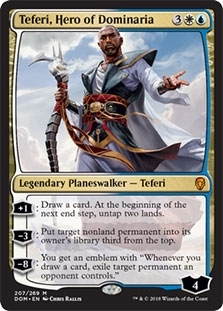 Zen Takahashi writes about his favorite Legacy deck, Esper Stoneblade! Simon Nielsen shares his preparation process for the previous Modern Grand Prix.